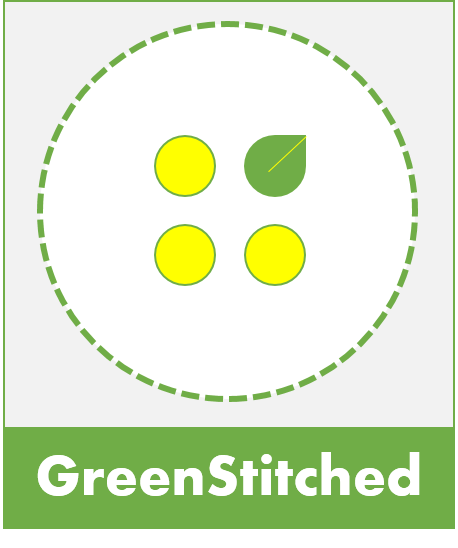 At the GreenStitched SwapShop, you can swap fashion any day of the year. This has been made possible with the support of our partner GoNative. Amidst the hustle-bustle and the big city life of Bengaluru, Go Native is a quiet little retreat with a Farm to Table restaurant and lifestyle store. The GreenStitched x GoNative SwapShop is a unique concept where you can swap pre-loved fashion with the good stuff you already have. Offering you a conscious choice like never before. If you want to live a low impact lifestyle, swapping is a great habit to imbibe. You use already existing products and increase their useful life. In fashion, the most sustainable clothing item is the one you already own! We are making pre-owned, pre-loved items available to more of you. This works in 3 simple steps. What are the timings of the swap? Swap timings are 1PM to 7PM. 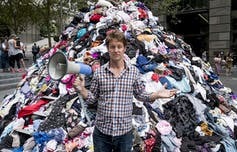 Is there a maximum number of clothing one can bring to the swap? Each person can bring maximum 10 number of clothing items at the swap at a time. I attended one of the SwapStitched pop-up swaps in Bangalore. Can I use the left over coupons from my previous swap to this one? Yes. If you have swapped with us before, your left over coupons from the previous pop-up swaps can be utilised at the SwapShop. You need to send us a message first. Is there a limited number of clothing one can swap? Once you drop your clothes, you will be assigned coupons. 1 coupon equals to 1 clothing item and can be redeemed against 1 item. You can swap as many number of clothing items as the number of coupons you receive. Is men’s clothing available for the swap? Yes! In fact, our swaps are open to all genders. Is there a helpline we can reach out to? This entry was posted in SwapStitched and tagged Circular Fashion, clothes swap, GoNative, Sustainable fashion, swap, SwapShop. These are admirable initiatives, but they only reduce wastage or delay garments from ending up in landfill. They do not address the fact that the scale of fast fashion is so massive it can easily eclipse other sustainability initiatives. Nor do they address the wastefulness of existing technologies and the urgent need to research new ones. This entry was posted in Innovation, Manufacturing and tagged AM Silk, Anna Orsini, Australia, biodegradable shoe, bioplastic, British Fashion Council, Circular Economy, Dr Suzanne Lee, Ecovate, Environment, ethical fashion, ethical manufacturing, Fast Fashion, fastfashion, Filippo Ricci, GlobalChange, H&M, landfill, London Fashion Week, Lucy Siegle, organic, organic cotton, Orsola De Castro, Pollution, Recycling, spider silk, sustainability, Sustainable fashion, sustainable fashion designer, sustfash, Topshop, War on Waste, Waste, Zara, Zero Waste, zero waste design, zero waste pattern. Global fashion retailer C&A’s charitable arm, C&A Foundation has launched a global initiative aimed at helping brands, retailers and manufacturers find more innovative and sustainable ways of producing fashion. ‘Fashion for Good’ is a joint-industry initiative involving Sustainable Apparel Coalition (SAC), Ellen MacArthur Foundation and IDH, and Sustainable Trade Initiative. The initiative offers practical action in the form of support, funding and roadmaps, and by fostering a sector-wide collaboration rather than competition and aims to enable innovation and widespread adoption of “good fashion practice”. With an innovation hub in Amsterdam, a start-up accelerator in Silicon Valley, California, and a global network of ‘change makers’, Fashion for Good re-imagines how fashion is designed, made, worn and reused so that people, companies and the planet can all thrive. By mobilizing around a collective innovation and investment agenda, we will spark and scale technologies and business models that have the potential to change the sector profoundly. And by openly sharing what we learn, we will guide the fashion industry toward a future in which brands, suppliers, communities and our planet can all thrive. Fashion for Good will launch its first hub in Amsterdam on March 30. 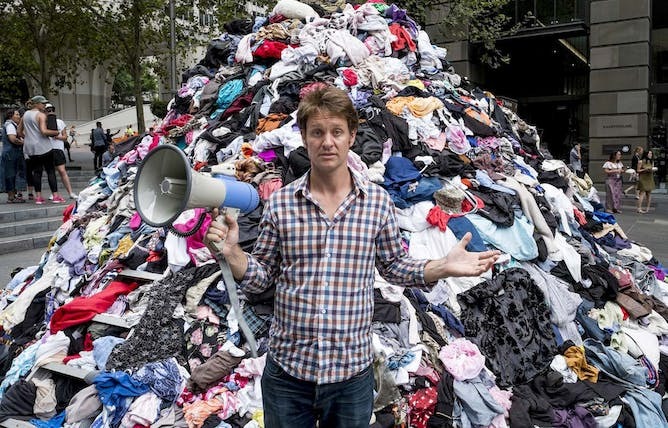 It may be mentioned here that the new initiative is part of C&A Foundation’s wider efforts to drive the transition to circular fashion by nurturing and scaling solutions that can change the way clothes are made, used, and reused. This entry was posted in Brands and tagged Apparel Resources, C&A Foundation, Ellen MacArthur Foundation, Fashion for Good, IDH, SAC, Sustainable fashion, Sustainable Trade Initiative.